At times when people sees us too stressed out either at work or going through our personal lives, We would be advised to calm down and “Let our hair down”, this idiom’s meaning is to allow yourself to behave much more freely than usual and enjoy yourself. To give us much more reason to be carefree, we must be confident on how we look and feel. Take time to take care of your appearance and take extra attention to your hair. Hair is considered as our crowning glory, hence, it is pertinent that we start with it. Here are some tips in maintaining a healthy hair. Observe good hygiene all the time – regularly wash your hair to remove dirt and grimes. Use towel to dry off your hair after shower – Using hair dryer can cause damage to your hair; if you must use the heat then do so sparingly. Eat the proper nutrition– Our hair is also dependent on what we eat. Iron-rich food and protein strengthens your hair. 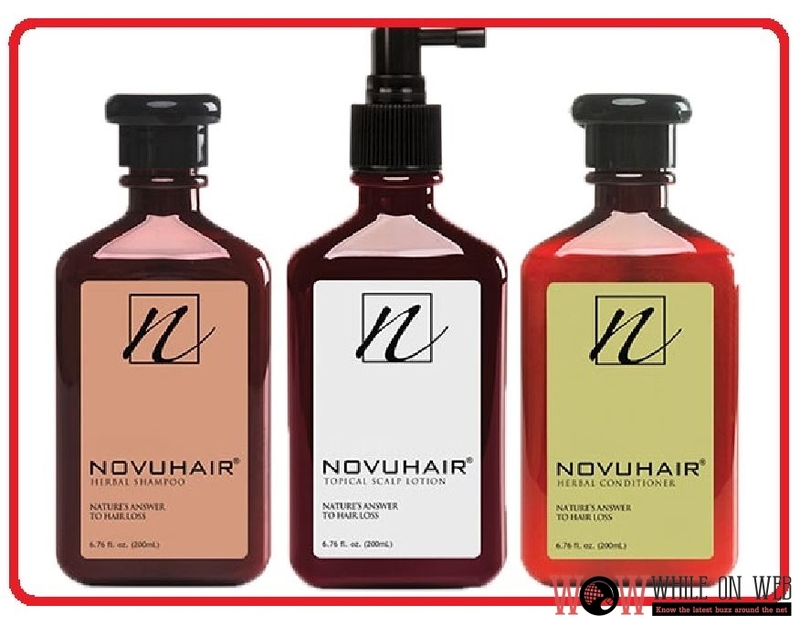 Novuhair, nature’s answer to hair loss is made of 19 Natural ingredients which includes herbal components such as moringa oleifera, panax ginseng, virgin coconut oil and the natural essences of rosemary and peppermint. Nutramedica Inc. itself is being led by a formidable woman, Sheila Mae Velilla, CEO & President of Nutramedica Inc. Ms. Velilla built the company from scratch, exerting much effort in product development and exemplary business & marketing acumen. Founded in 2004, Nutramedica was one of the first companies to market virgin coconut oil (VCO) in the Philippines. Today it is known for its comprehensive range of oral and injectable pharmaceutical lines, food supplements and cosmetic products.